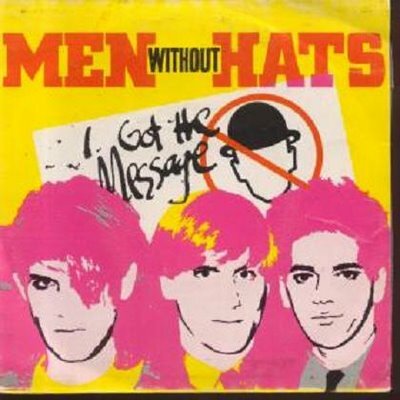 More Musical Encounters: Men Without Hats! Then they’re no friends of mine! Last night, Mink and I went to see Men Without Hats play at Lee’s Palace, a grimy venue on Queen Street West. It was a game-time decision, and kind of random for a cold Wednesday in November, but I am so, so happy that we went. Nights like this make me happy to be alive, and remind me why I love living in a city (which happens to be Toronto, for now). Honestly, I only knew a couple of songs by Men Without Hats before last night. The long version of their story can be found here. And, to my eternal shame, I didn’t even realize that they are Canadian. But the concert was hilarious and fun and danceable and everything a concert should be. 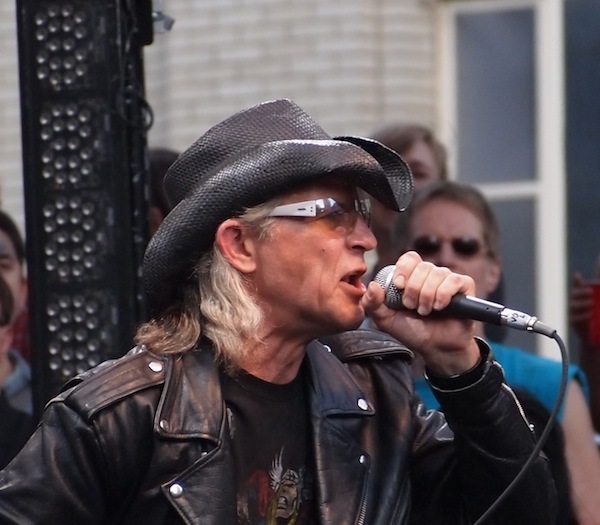 It was the sole remaining member of the original group, Ivan Doroschuk, stealing the show, and a few hip youngs on synthesizers and guitar and doing backup vocals. I don’t think I have ever coveted a band member role as much as when I saw them all grinning in the background while Ivan flailed and danced across the stage and charmed us all magnificently. Lee’s Palace is a little … rough around the edges. Just going to the washroom required a certain ability to detach oneself from reality in order to get the job done, but that’s not exactly uncommon when going to concerts, as any live-music veteran will attest. In any case, Lee’s was the perfect venue for this band, and Mink and I showed up just in time for the Men Without Hats (including a couple of women, as it were) to take the stage. The crowd was mostly made up of people a decade or two older than us, and this creates a completely different atmosphere than some of the other shows I have seen recently – not very many Skrillex-lovers here, I would wager a fair bet. Most of them knew all of the lyrics, too, and loosened up considerably with their dancing as Ivan really got into things. There was one super-fan rocking out in front of the stage, as super-fans do, oblivious to those around him taking videos on their smart phones with wry smiles on their faces. An unexpected highlight was when I spotted a $10.00 bill on the ground. Sir John A. was just staring up serenely at us, waiting. Thanks for the funds for two complimentary beers, universe! The penultimate song of the night was “The Safety Dance,” easily their most enduringly catchy song (see videos above or below) – although Mink was also pretty excited to hear “Pop Goes the World,” since her mom used to play it in the car all the time. (The Minkus’s mom is definitely coming to the next concert with us.) As a surprising encore, Ivan returned to the stage and sang a spirited rendition of Abba’s “S.O.S”. Everyone loved it, and he exited to frenetic, appreciative cheering from the crowd. I love to see a musician who so clearly loves performing. If that’s not your thing, try listening to their new album, called Love in the Age of War, which was released this year and does wonders for fending off the impending November doldrums. What’s not to love about a charming, Canadian New Wave rocker releasing the band’s first album in a decade? Exactly.